COLD CALLING. APPOINTMENT SETTING. ONLINE SEO. Our Telemarketing service was started when Simon could not find a local provider that could deliver quality and consistent lead generation and follow up services. Simon started Telemarketing Services and a sister company delivering Search Engine Optimisation services to give small businesses the chance to compete with larger counterparts and generate affordable, qualified sales leads. We arent in business for a quick buck. We send you regular reports on progress, KPIs and appointments or sales closed. 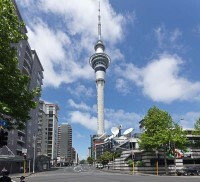 We are based in Forrest Hill on Auckland’s North Shore. We travel to meet you. We do not have offices so our costs are affordable – everyone is virtual and works using the latest technology . And is focussed on hitting their KPI’s. We are not the cheapest, quality never is. Though we are affordable. When you meet us you will understand why we are the best choice for your brand and results. We know your focus is to grow your business, we help formulate a great strategy and script for cold calling that will get results. if you are really keen then we blend our telemarketing service with other lead generation and lead follow up services that help you get more – without hiring.